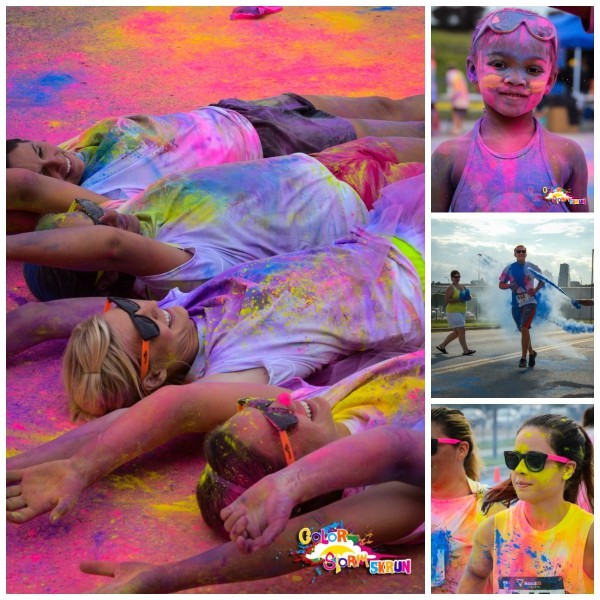 Register for the Color Storm 5K today! Color Storm Gear/SWAG: Color Storm white T, to become as colorful as possible. Storm-glasses, you'll need some cool shades to protect those rays and color powder. Two (2) color packs, yes we said two, to use when you choose (preferably at the event). Race bib. AND much more! Participants may purchase additional color packs at packet pick up or on race day. You may pick up your swag on Saturday, June 10th, from 1pm to 6pm. 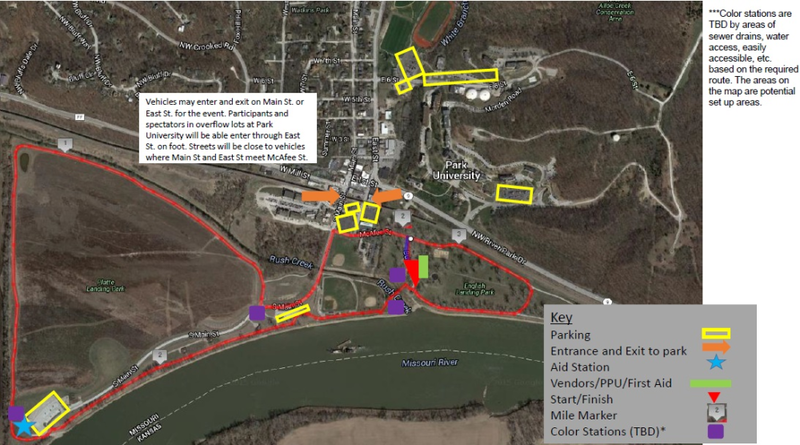 OR pick up your gear on race morning at English Landing Park, beginning at 7:30 AM! Wave Start: We plan on having a loose wave start in order to allow participants to get the full color experience at each of our color zones. The two waves will be approximately 10 minutes apart with the first one being at 9 AM. Post Race Celebration: There’s always a rainbow after the Storm! The hoopla doesn’t end at the finish line. Join us at the post-race festival where will be tossing up color every 15 minutes! This is where your color packets come into play. Parking: There will be limited space available on the park grounds. Overflow parking is at Park University.